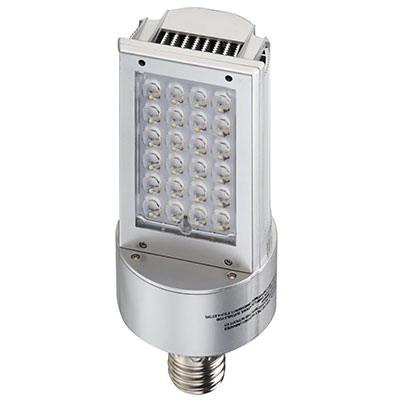 Light Efficient Design 120-Watt E39 Mogul base Cree® XTE type V LED lamp offers 9561-Lumens light output. It has color rendering index of 84. Lamp with 4000K color temperature rating radiates cool white light to the surrounding. This lamp features aluminum/acrylic construction. It measures 11.4-Inch x 4.3-Inch Dia. Lamp has voltage rating of 120 - 277-Volt AC. It comes with average life of up to 50000 hours. This lamp withstands temperature rating of -40 to 122 deg F. It is ideal for hid retrofit for shoebox/wallpack. Lamp is cULus listed and FCC certified.